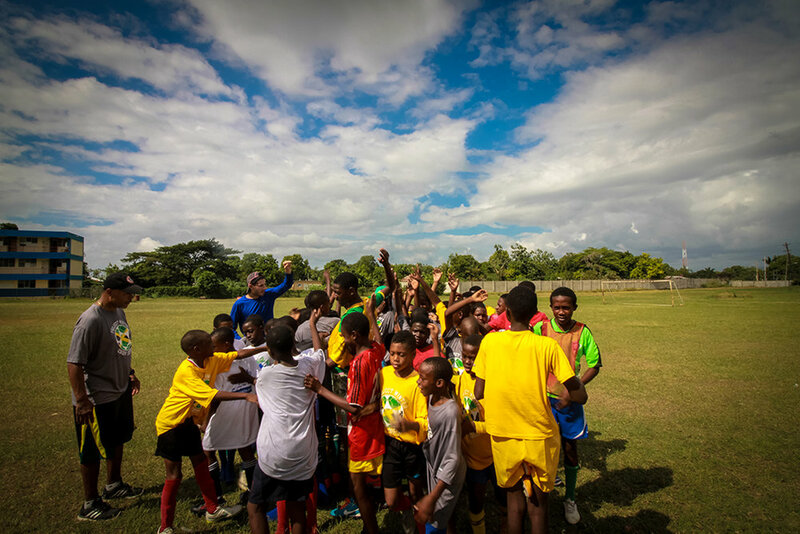 We offer multiple ways for companies or individuals to get involved and help us reach our goal of conducting camps that include as many Jamaican children as possible. No donation or level of involvement is too small. Your generous, tax-deductible donation makes PWCJ possible, helping us provide snacks, equipment and uniforms for campers and accommodations for volunteer coaches. We offer sponsorship opportunities ranging from supplying equipment for our camps to making corporate donations—all resulting in high-visibility for the sponsor in our communications and fundraising. Volunteer coaches make PWCJ life-changing for our campers, offering training and mentorship, as well as serving as a role model and positive example. We promise coaches an incredible experience of their own. While we provide food and accommodations for our volunteer coaches, they cover their own airfare to Jamaica. As a sponsor, you can reward their generosity by paying for part (or all) of their travel expenses.